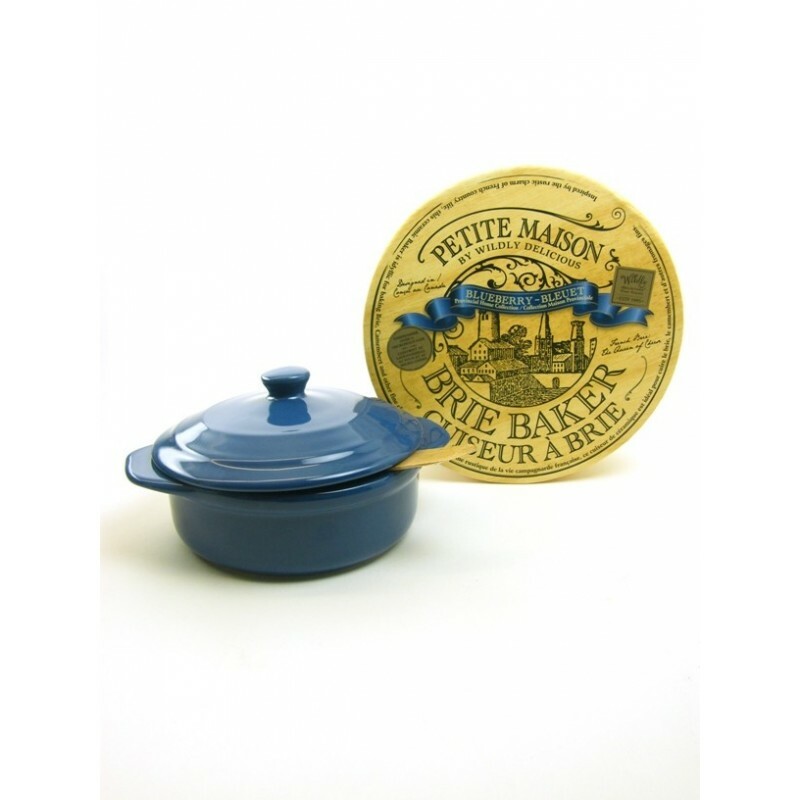 Useful ceramic pot specially made for camembert and mini brie cheese. Makes a deliciously different gift for the cheese lover. What a great idea! Just pop a camembert, mini brie or similar cheese into the ceramic pot and dress to taste with your favourite marinade - maybe garlic or herbs, a little olive oil or even some wine. Put the lid on and bake in a hot oven for about 20 minutes. Serve warm, straight out of the pot, with some good bread to some good friends. Presented in a very pretty gift box, complete with a wooden spreader. Also available in cassis (a lovely "Ribena" colour that contrasts very well with the creamy cheese), cream and black.